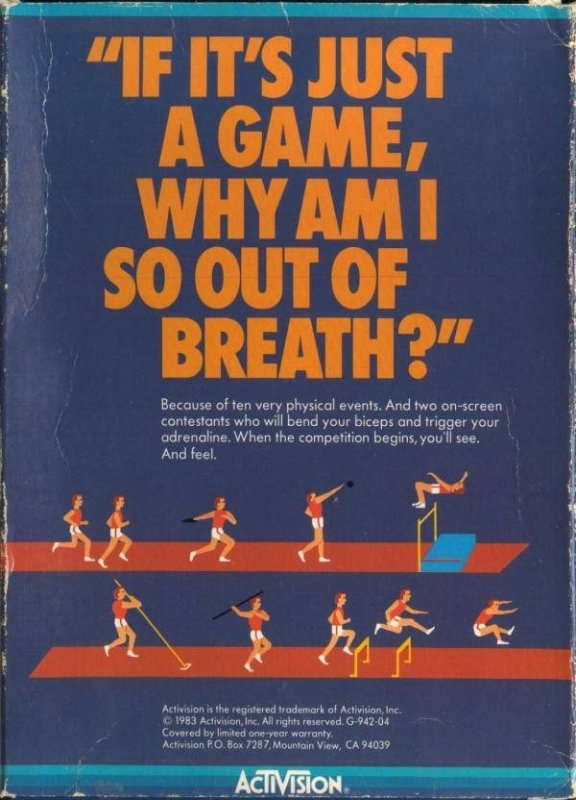 If it's just a game, why am I so out of breath? Because of ten very physical events. And two on-screen contestants who will bend your biceps and trigger your adrenaline. When the competition begins, you'll see. And Feel.